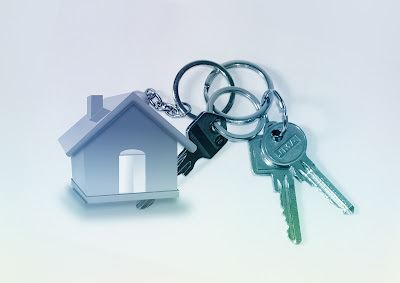 If you have managed to misplace an important key recently or maybe you need a replacement lock than Fastkeys are there to help you. Fastkeys are online key cutter specialists and suppliers for replacement keys, locker keys and locks for office furniture and lockers. Keys are cut to order at their premises and then sent to you via first class post. To provide this service to their customers all they need are the numbers from the locks or key (if you have one available), along with any manufacturer's names. Fastkeys supply quite an extensive range of locks from many manufacturers for many types of office furniture including: desks locks, filing cabinet locks and cupboard locks . Keys cost as little as £1.70 each, depending on the exact quantity ordered. If you’ve ever lost your bunch of personal keys you’ll already know the problems it creates. A few years ago I managed to lock myself out our first floor flat whilst I was 5 months pregnant. This wasn't good as I went into a complete panic. Especially when I got the spare key off my husband, the door still wouldn't budge. I was lucky my Mum was with me at the time and she calmed me down and we got it all sorted. Since then I have been a lot more careful when it comes to keys, not just our front door key but also other keys that we need such as our personal lock boxes, Stuart's bike key etc. Fastkeys also supply a range of Rottner Security products including: key cabinets, cash boxes and safes.I think products like these are essential in the home especially for important items and documents so that they are kept safe. Do you use cash boxes and safes for important items?